Yesterday I posted pictures here of a kitchen we recently installed. 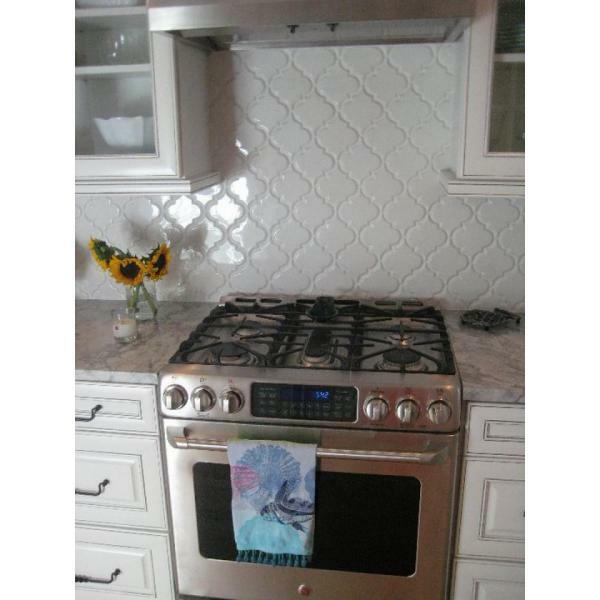 The tile backsplash was the Beveled Arabesque ceramic tile from Mission Stone and Tile. It seems like everyone is loving the simplicity of white subway tile right now. It's basically the most neutral tile you can use on your backsplash that still adds style to your kitchen. Some people want to add a little more zing to their splash though, but they are worried about it competing with their new countertops. The Beveled Arabesque tile may be the perfect choice. It's neutral and yet it's unique and beautiful. Here are some pictures of other installations using this tile. Remember this kitchen? I've shown it here before! It's beautiful in showers as well. Mission Stone and Tile has now added four new colors to the Beveled Arabesque line! In addition to the original White and Ivory they now have Up in Smoke (grey), Paris Nights (blue), Sun Kissed Moroccan (tan) and Chocoholic (dark brown). Click here to check them out! Apartment Therapy recently featured this tile on their website. Click here to read it, especially if you are looking for a discount code. (hint, hint). One more link....I read this post on Tile Tramp. She had a client ask her if this shape would go out of style. Read what she had to say here, it's great! Be sure to check out our new colors options for our Beveled Arabesque under "Products" at www.missionstonetile.com! Recycled glass countertops prices will vary depending on the product and its manufacturer. The same is true of granite countertops, whose prices will vary depending to some degree on whether the granite is domestic or mined from a quarry in a foreign country. 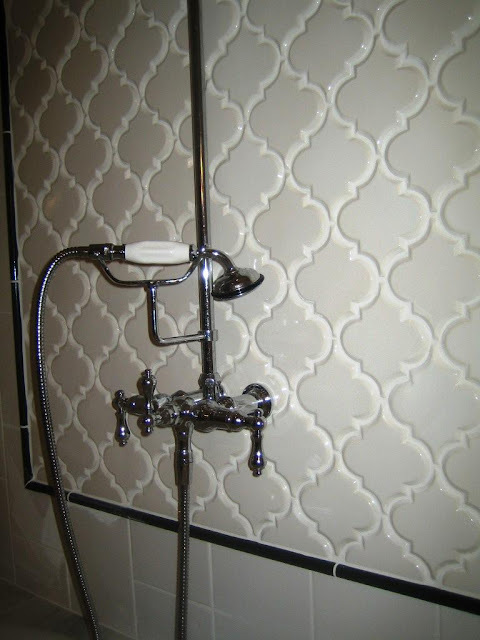 www.mosaictilestone.com is having a sale on Beveled Arabesque Tile. Use the code LABOR for a 20% discount, and free shipping. Hi there! 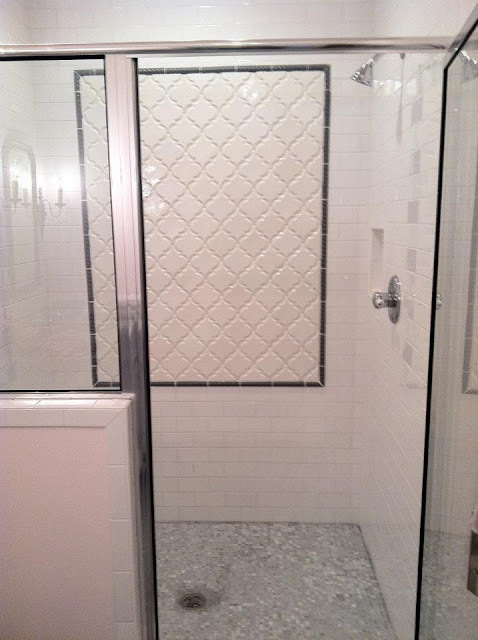 I am looking into ordering this tile - do you know, does it come in individual pieces or sheets? I could see the individual pieces being an installer's nightmare... tx! Unfortunately it doesn't come on sheets, they come as individual tiles. Yes, they aren't fun to install. My tile guy said he basically grouted with his finger!